Do no harm has been the basic tenet of supporters since the Trump administration announced its intention to renegotiate the North American Free Trade Agreement (NAFTA). That means not hurting the relationships we have built with our neighbors who work with us on a daily basis to promote trade and border security and are the first to render aid in our times of need. It also means not hurting the vibrant and essential interconnected trade networks that have flourished in the past 23 years, creating growth in regional economies and helping communities across the country. Naturally, negotiations are points of conflict, but our approach should acknowledge decades of cooperation, as well as the success of free trade in improving all of our economies. Vitriolic rhetoric around negotiations, national security and immigration strain our close friendships and is disrespectful of our shared histories. It is more important than ever that we do no harm in style, as well as in substance. 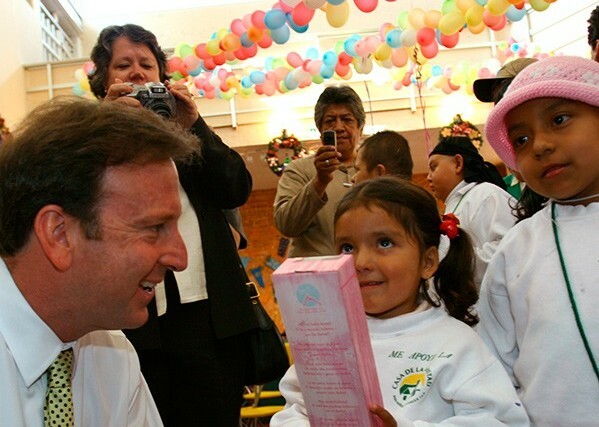 When NAFTA took effect, it created the world’s largest free trade region. Canada and Mexico are our second- and third-largest trading partners for everything from corn to cars and trucks to natural gas. Even our electrical grids are connected up and down our borders. These trade connections support nearly 14 million jobs in the United States, supply fresh fruit and vegetables year round, and increase our GDP by $127 billion. In Texas alone, 380,000 jobs depend on trade with Mexico, and nearly 2 million jobs are trade-related. We must maintain this progress as we move forward with negotiations. 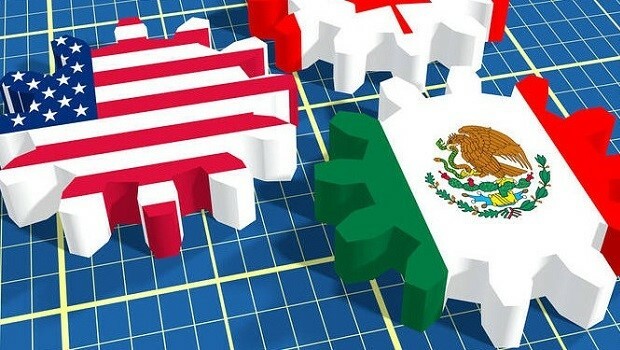 Canada or Mexico represents the largest or second largest foreign purchaser of manufactured goods for 46 states. 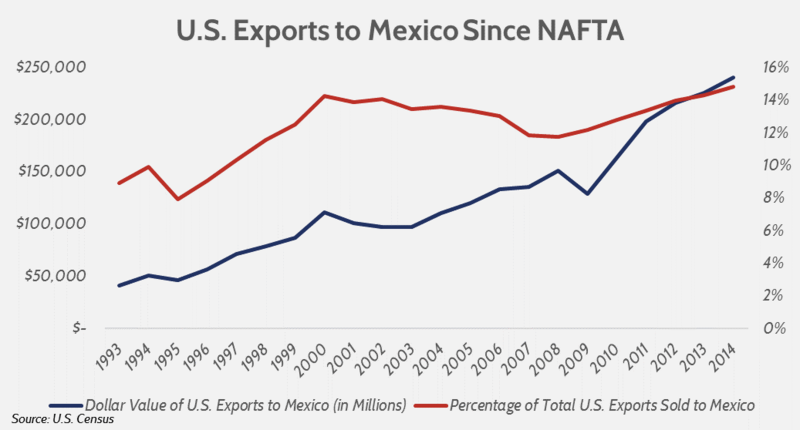 Manufacturing supply chains are so integrated that the average North American auto part crosses a NAFTA border seven times before the vehicle is ready for sale. We must be aware of the importance of this agreement to suppliers in the chain before impacting decades of business development. Our energy sectors are just as integrated as our manufacturing. Nearly all – 97 percent – of crude oil imported from Mexico is sent to Houston and other Gulf Coast refineries. They then send 52 percent of all refined exports back to Mexico. 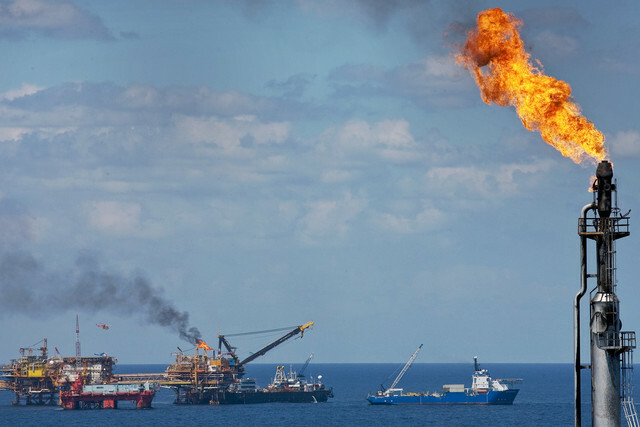 Stable conditions created by long-term agreements have made it possible for huge increases in natural gas exports to Mexico, which in turn leads to a cleaner energy mix and cleaner air. There is no doubt that NAFTA could use an update to bring the deal into the 21st century. The agreement took effect before the internet and e-commerce, before next-day purchasing from our phones and before millions of dollars of intellectual property could cross borders in seconds. Introducing digital provisions and removing non-tariff barriers to trade are ways to make a good deal better. Evidence-based approaches to customs and agricultural inspection will make our economy smarter, faster and safer. Congress will need to vote on the new trade agreement. This will need to be a bipartisan process, and I and many of my colleagues have been meeting regularly with congressional and administration leaders on trade, as well as those of our negotiating partners. Representing communities from Laredo to Des Moines and Houston to Seattle, which have already seen the benefits of trade, my colleagues and I will review the final deal to ensure that it does no harm to the families, communities and businesses growing our economy every day. Henry Cuellar represents Texas’ 28 congressional district, which extends from the Rio Grande to the suburbs of San Antonio.